If you haven’t gone to Lowe’s Home Improvement lately, you’re missing out a great opportunity to capture the new spring flowers, etc. I was in the garden center this morning. 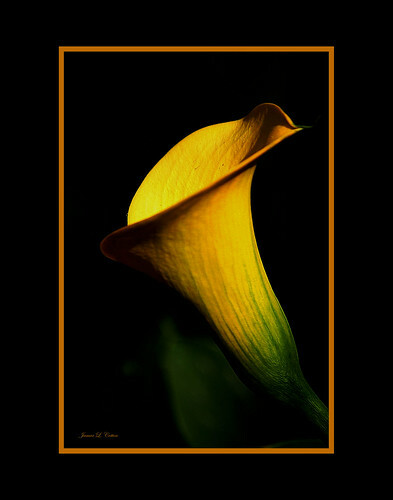 There it was this yellow calla lily just delivered from the grower in Fallbrook, CA. Now let me see, how can I capture this. Well, I flipped a coin. Heads it was. Whamo!! The rest is history. Sidebar: I stole the idea from a few of you. You get the credit.